1943년 만주 창춘(長春)에서 태어났다. 고교 시절인 1962년 단편 「입석 부근」으로 사상계 신인문학상을 수상했고, 1970년 조선일보 신춘문예에 단편 「탑」이 당선되어 문학활동을 본격화했다. 베트남전쟁에 참전한 뒤 「객지」 「한씨연대기」 「삼포 가는 길」 『무기의 그늘』 『장길산』 등 문학사에 획을 긋는 걸작들을 발표하면서 한국을 대표하는 작가로 부상했다. 2000년대 이후 장편 『오래된 정원』 『손님』 『심청, 연꽃의 길』 『바리데기』 『개밥바라기별』 『강남몽』 『낯익은 세상』 『여울물 소리』 등 역작들을 선보이며 소설형식에 대한 쉼없는 탐구정신, 식지 않는 창작열을 보여주고 있다. 만해문학상, 단재상, 이산문학상, 대산문학상 등을 수상했고, 아시아 유럽 미주 남미 등 세계 15개국에서 거의 모든 작품이 번역 출판되었다. 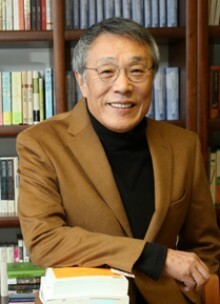 Hwang Sok-yong emerged as one of the leading contemporary Korean writers with such masterpieces as “The Land of Strangers” and Jangkilsan(A novel in a series of 12 volumes). These works were heralded not only as the finest examples of the art of realism but also as the most outstanding achievement of Korean Literature. He was enlisted by the Marine Corps during the Vietnam War, and he participated in the Gwangju Uprising and antiestablishment cultural movement against the military dictatorship. Wang visited North Korea in 1989 when he received an invitation from the Literature and Art Union of North Korea, and afterwards, went into exile in Germany and the United States. He returned to South Korea in 1993, and was sentenced to 7 years in prison for violating the National Security Law. In 1998, he was released on a special pardon by the new president. Hwang has produced works of unique verbal energy and unparalleled wit that entertain as well as instruct the readers. Wang has received numerous literary awards and prizes such as 1989 Manhae Literature Prize, 2000 Danjae Literature Prize and 2001 Daesan Literature Prize. Hwang was chosen as the ‘Best Writer in Hundred Years of Korea’ by hundred literary writers and critics(2002). He was elected for a president of The ‘Korean People’s Artist Federation’(2003). His works have been translated into many languages including English, French, Japanese and Chinese.